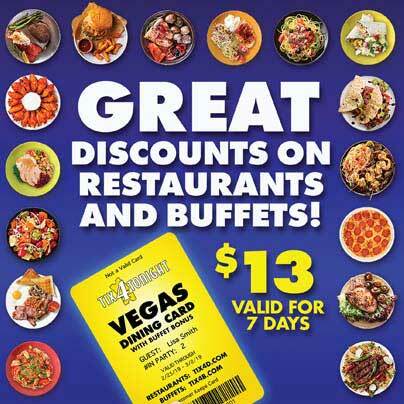 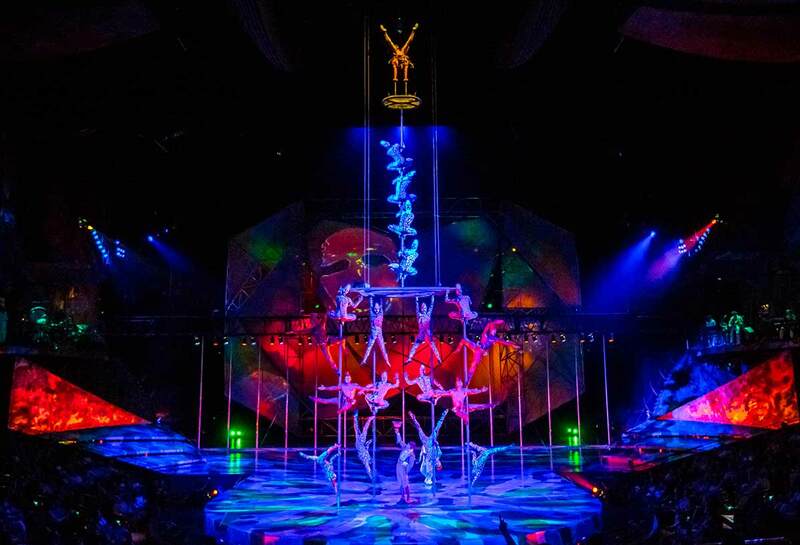 Mystere Las Vegas has been entrancing audiences at Treasure Island for more than two decades as the city’s original resident Cirque Du Soleil show. 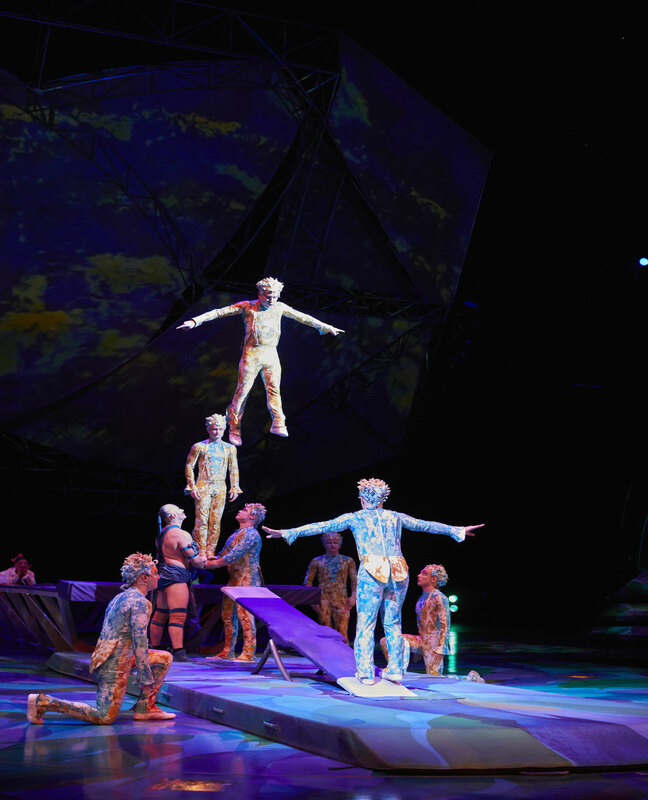 Cirque du Soleil’s Mystere utilizes a cast of world class street performers, acrobats, clowns, musicians, and aerialists to explore the mysteries and origins of life itself in a show bursting with color and creativity. 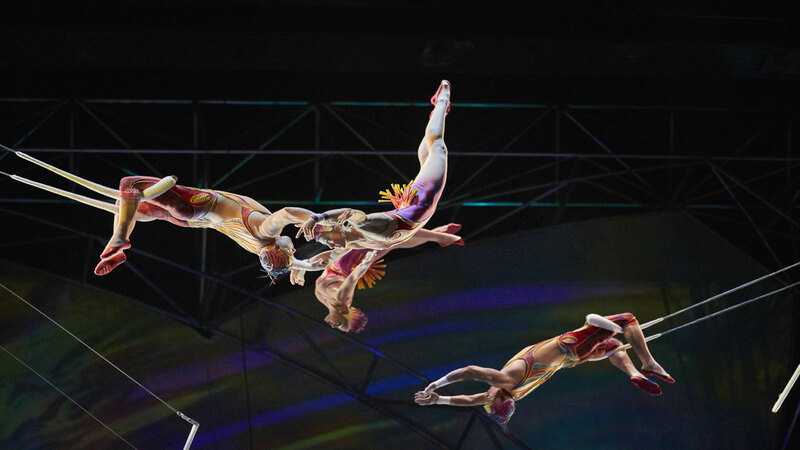 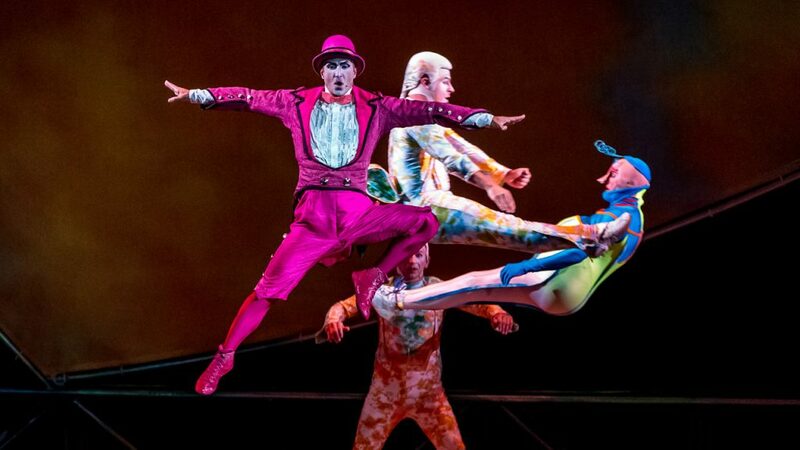 The first permanent resident Cirque du Soleil show in Las Vegas has been running for more than two decades and continues to entrance audiences with its epic visuals, music, and inspiring human feats. 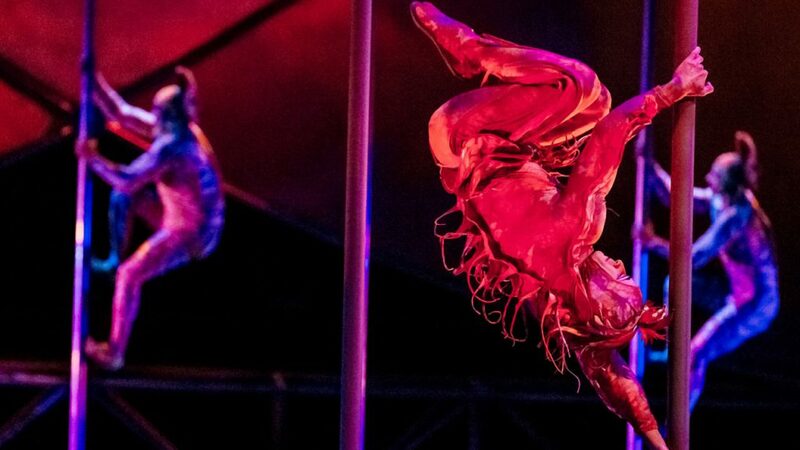 The show puts an emphasis on amazing human physicality. 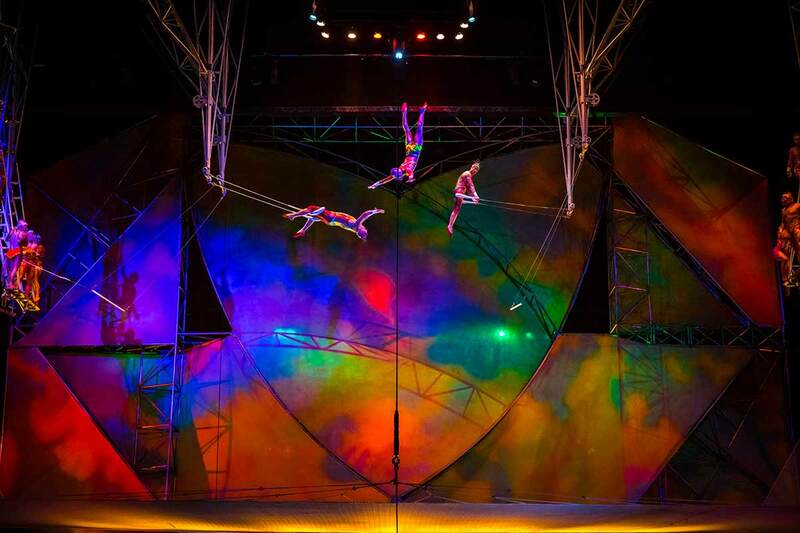 Acrobats work a dangling metal cube, a hand-to-hand duo performs logic-defying feats of balance and strength, trampoline performers spin through the air at seemingly impossible speeds, and trapeze artists soar above the stage in a show that will open your eyes to a whole new appreciation for brute human power and stamina. 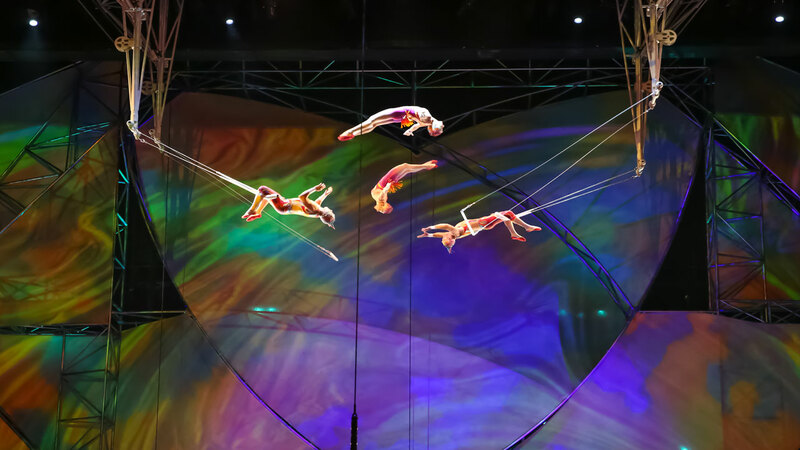 The production opens with a colorful representation of the universal Big Bang and transports you through our earthly, primitive beginnings to our Renaissance awakenings and finally, into a futuristic vision of lights, color and drama, culminating in a spectacular climax of acrobatic magic. 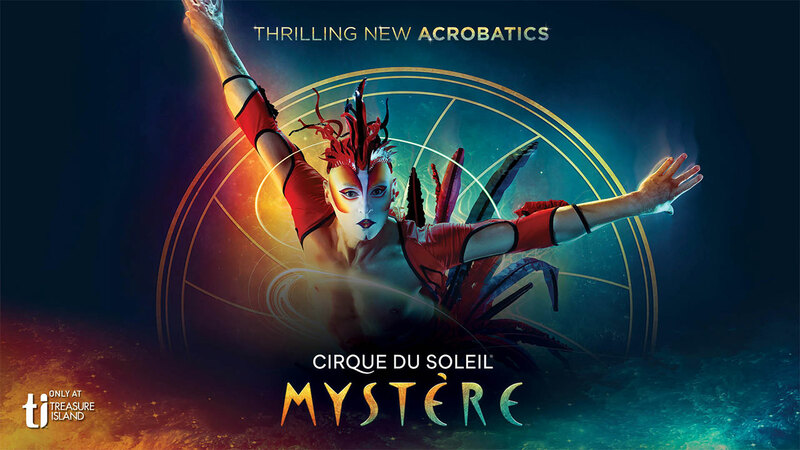 Mystere is a stunning, epic, old-world yet totally modern circus production featuring a cast of over 70 performers, and an experience in which you won’t believe your eyes as you take in the visual spectacle unraveling onstage and ooh and aaah in primal satisfaction. 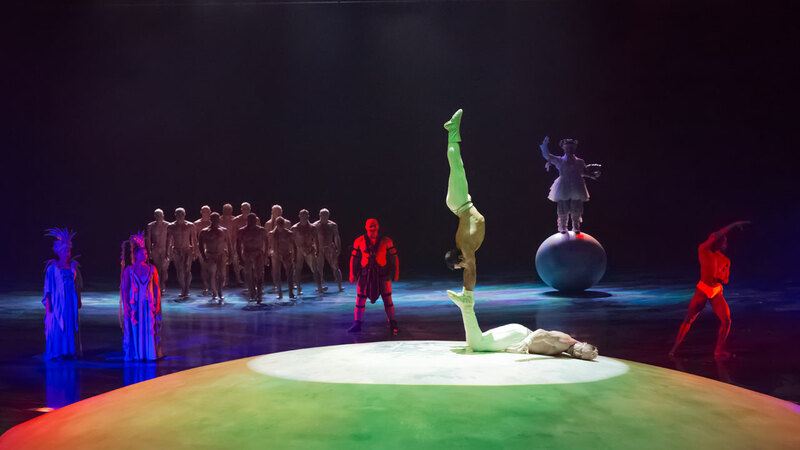 If you’ve never seen a Las Vegas Cirque du Soleil production, Mystère will make the perfect induction into the visual style of the artful French Canadian circus troupe that mixes physical grace, visual complexity, performance artistry, perfectly choreographed dance, and pure athleticism, all set to percussive music performed by a live band. 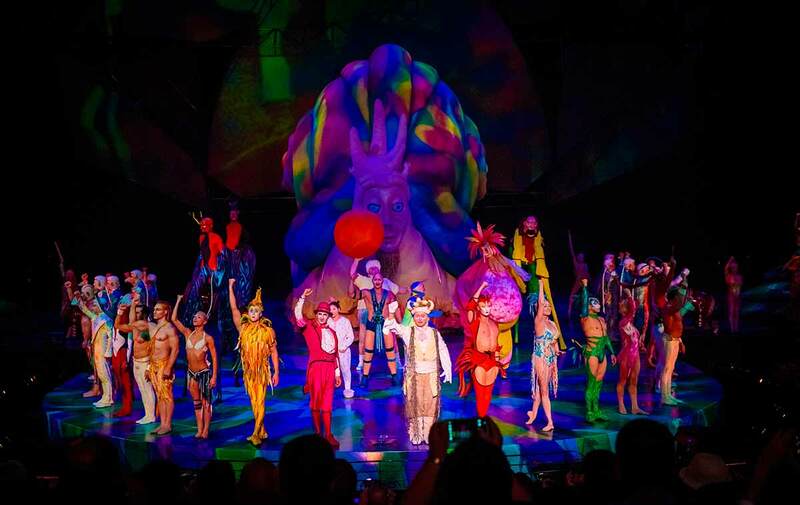 The Chicago Tribune called Mystere, directed by the visionary Franco Dragone, “one of the most innovative and exciting shows to be seen anywhere” and the Las Vegas Review Journal rated Mystere Las Vegas their award for the town’s “Best Production Show” eight times. 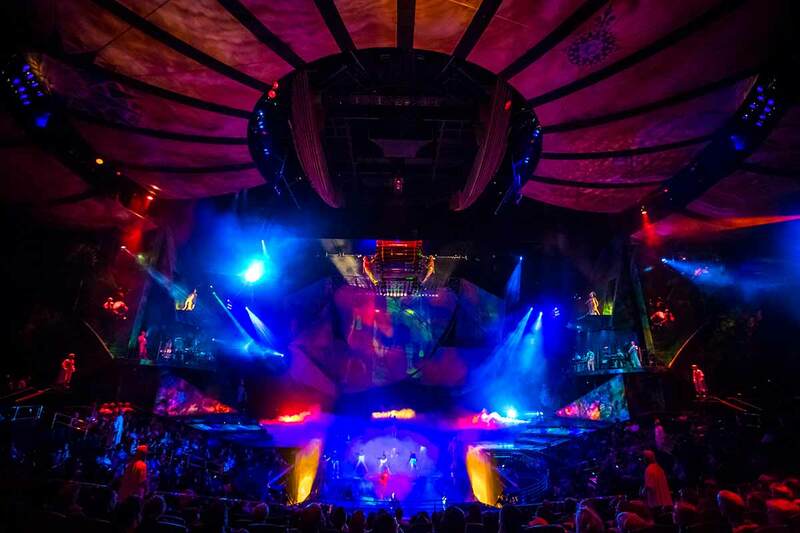 The mystery unfolds at the Mystère Theater at Treasure Island, where you can enjoy great pre-show entertainment if you arrive 30 minutes before curtain time. 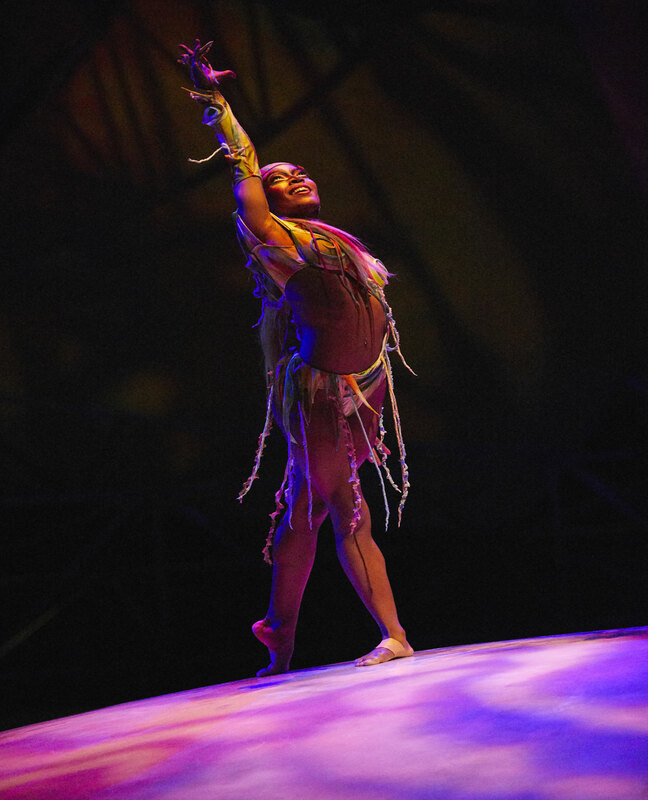 Bring the entire family as children, grandparents and everyone in between will be wowed by the rich costuming, aerial artistry, feats of human physicality, percussive live score, and unbound imagination on display onstage at Cirque du Soleil’s groundbreaking classic, Mystere.